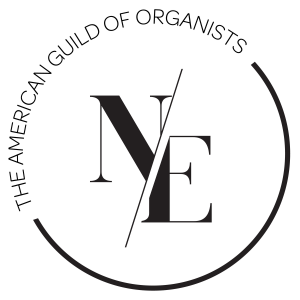 We are part of a larger national body, the American Guild of Organists, whose mission is to foster a thriving community of musicians who share their knowledge and inspire passion for the organ. In the NH Chapter, we serve a spread out and diverse group of dedicated organists and organ lovers. Please attend programs or check out the resources that our chapter, and other links provide. Thanks for visiting the NH-AGO. The NH AGO welcomes Adam Peithmann in his first recital for the NH Chapter. Besides serving as the chapter Treasurer, Adam is the Director of the Music Ministry at the Church. (Chapter members are asked to provide light refreshments for the reception. Those who wish may bring cookies, brownies, cheese & crackers fruit, etc.) Please contact Nick Girgus: ngirgus@yahoo.com to let us know what you would like to bring. -6:00PM – Optional dinner at a local restaurant (each order from the menu). More details to follow in next Cypher. ** Two of our NH-AGO Members are taking part in the “Special Music” series during lent at the Congregational Church of Laconia this Lenten season. Our Dean, Susan Ferre’ and Executive Committee Member at Large, Laura Belanger. Follow the links to the church’s website for more information. Music Note: The pieces by Charles Tournemire were premiered in Paris at Ste. Clotilde with 39 people attending on Good Friday, 1937. The fourth word, “My God, My God, why hast Thou forsaken me?” depicts Jesus on the cross, suffering at first like a man, but more and more like a God. The last, seventh word, “It is finished,” represents the heart of Christ as the revelation of the heart of God, and the cross as the revelation of the heart of Christ. Both of these pieces were introduced to me by my teacher, Jean Langlais, a blind composer whom I had the privilege of guiding on his concert tour of the United States in 1967. On that tour, Langlais performed the Dupré piece above, “Jesus Falls From the Weight of the Cross,” one of the 13 Stations of the Cross set by Dupré, with whom I had also had the pleasure of studying, if only for a month. Dues alone fall short of Chapter Program and publicity needs. We thank our Patrons for their additional support. 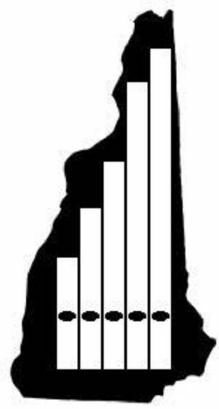 The Cape Cod and the Islands Chapter of The American Guild of Organists is hosting a Pipe Organ Encounter July 15th through 20th, 2019. This is an exciting opportunity to give eighteen young people a rich experience with the organ and organists while bringing the organ forward into the musical and arts mainstream of the Cape Cod summer. Outreach to the public, especially children, is a high priority. The faculty includes Christian Lane, James Jordan, Caroline Robinson, Janet Yieh, Clara Gerdes and Steve Young. The venues include Dennis Union Church (Casavant), West Parish, West Barnstable (Mander 2005 Mechanical), St. Mary’s, Barnstable (Wilhelm Tracker), Yarmouthport Congregational (Hook and Hastings), The Church of the Transfiguration, Orleans (Skinners/Barden), and Chatham Methodist (Noack) among others. The students will visit two iconic organ destinations in Massachusetts. The Church of the Transfiguration complex and organ of multiple Skinners is a mandatory stop for organ lovers on the Cape. James Jordan will share his knowledge of this instrument. Methuen Memorial Music Hall will host us for their Wednesday evening concert and tour of the organ, preceded by a tour of the Andover Organ factory. You can find a little bit more information at the chapter website capeandislandsago.org. Pipe Organ Encounters are the single most popular program AGO supports. Our colleagues agree that this program is vital to the future of our profession. Copyright © 2019 New Hampshire - American Guild of Organists.